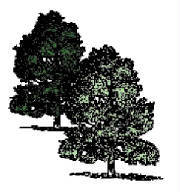 Welcome to Twin Oaks Graphics Artwork Site! 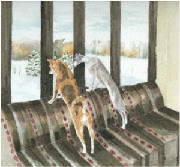 Affordable custom artwork in stained glass, watercolor and pencil and more. Visit our website and learn more. 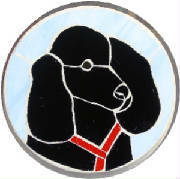 Imortalize your favorite pet with a custom painting or stained glass. Turn your photos into wonderful watercolor art. Our stained glass is done in the Tiffany style. Patterns are created in-house and most are unique. Sizes range from 4 inch suncatchers to full size windows with prices ranging mostly between $18 to $1500. We will provide a free estimate for all custom artwork. Watercolor painting and sketches in pen or pencil can be done from your favorite photographs with prices ranging from $65 for a 5X7 inch matted painting to $85 for an 8X10 inch for watercolors. Pencil and pen sketches are $20 and $25 respectively. Larger or custom sizes are done on request.